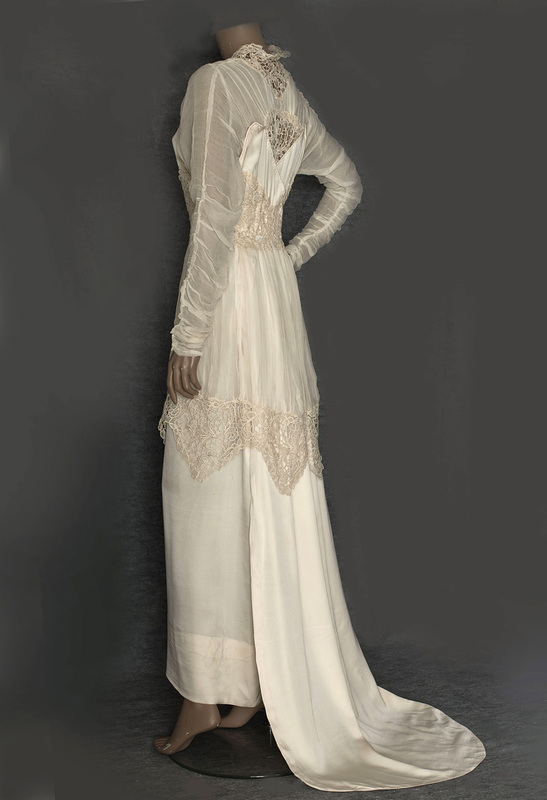 Many fine antique wedding dresses, passed down as heirlooms, have been modified to suit each wearer along the way. 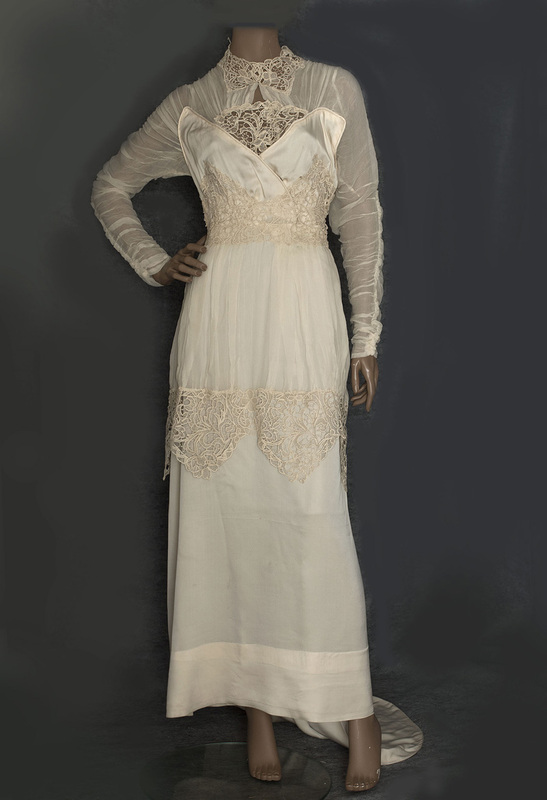 This lovely example of WWI fashion is a special find for the collector who values all-original condition. 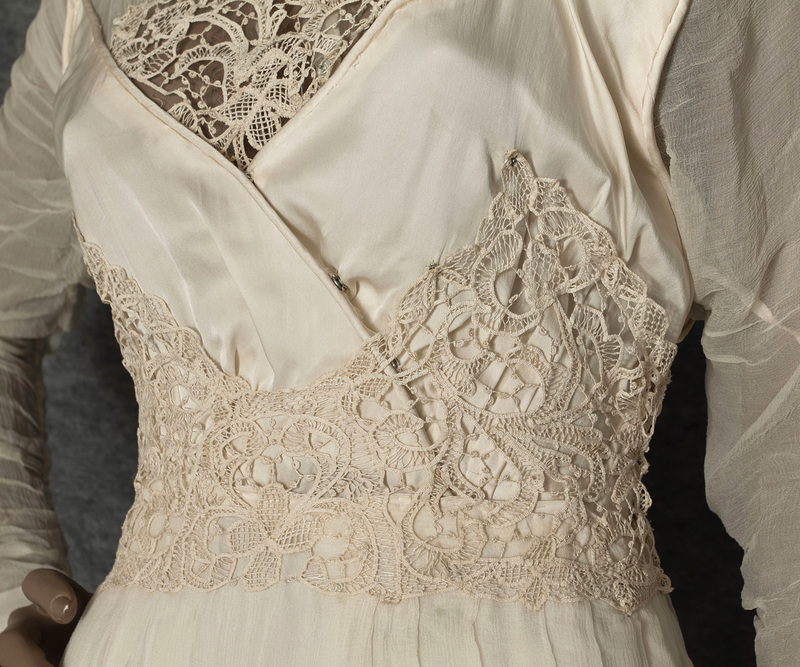 Our cream colored dress is showpiece for the play of texture in costume. 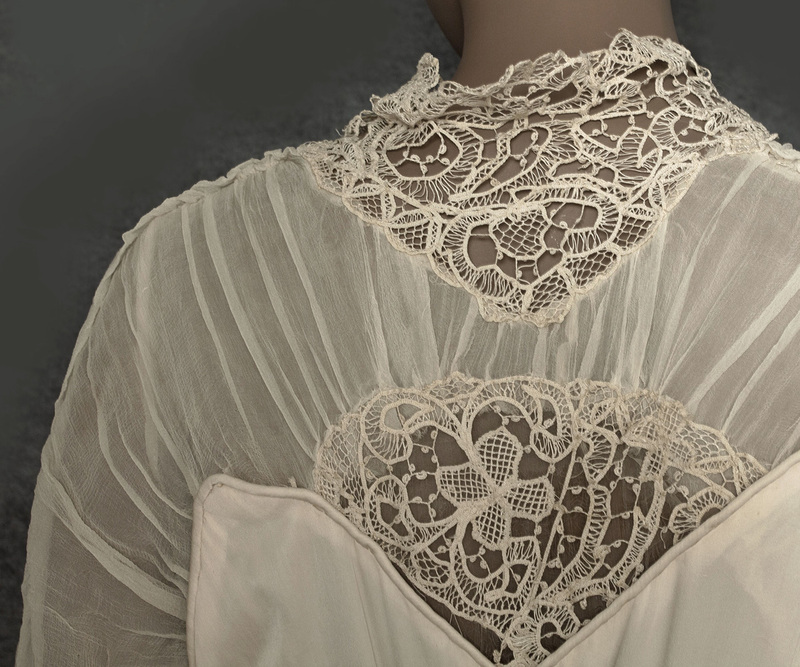 The supple softness of the silk charmeuse body complements by contrast the straight silhouette. Contrast is an oft neglected (yet important) principle in style. 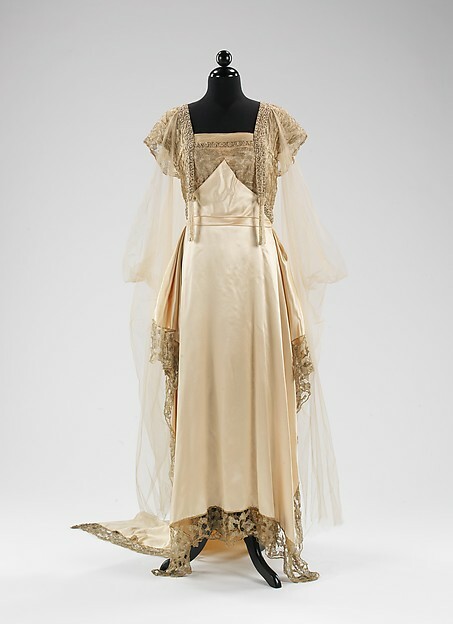 The 1915 Callot Soeurs wedding dress below, from the Metropolitan Museum Costume Institute collection, features similar design elements. 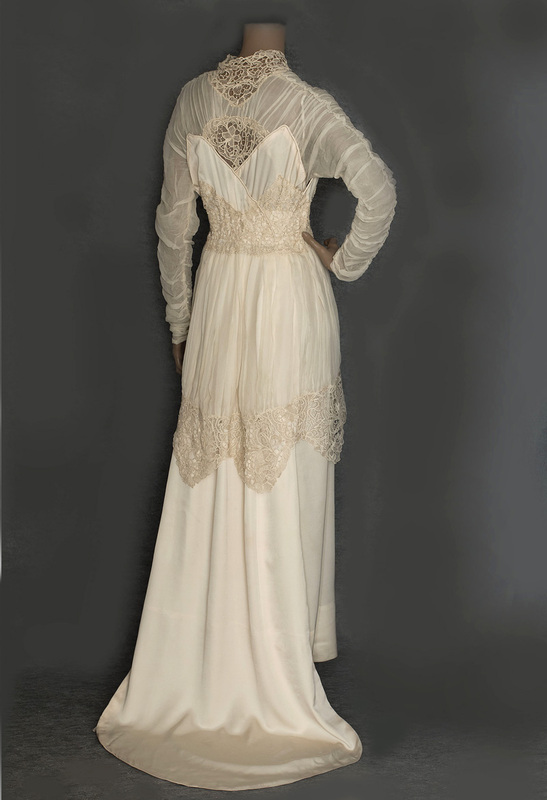 The matching silk chiffon skirt overlay, upper bodice, and long sleeves of our wedding dress are ruched and pleated. 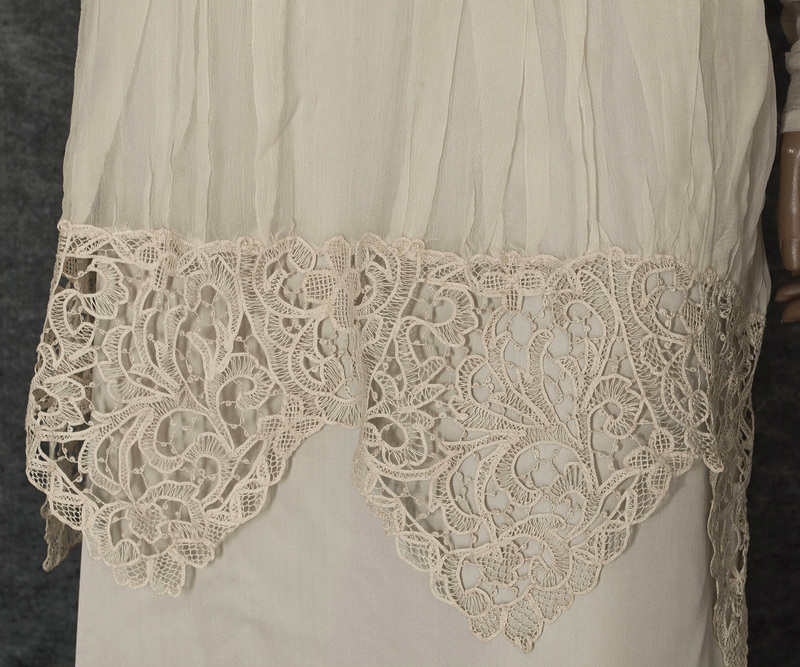 Edwardian chiffon, more sheer and delicate than its modern counterpart, is perfect for this treatment. The boldly patterned lace creates a strong accent. 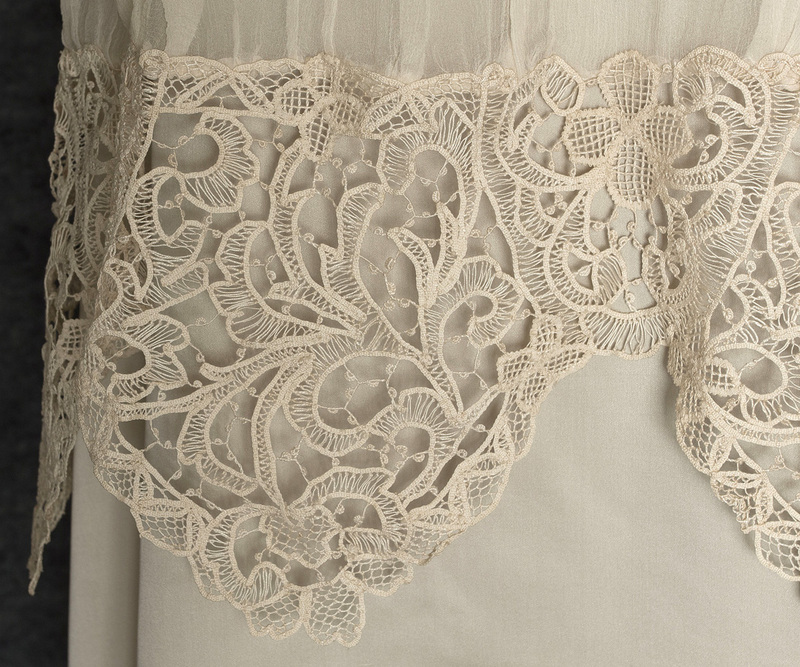 For over 600 years in high style costume, fine patterned lace has connoted elegance, style, and wealth—ideal for a wedding dress in 1518 or in 2018. The dress closes with small snaps on the front bodice and partially around the waist to the skirt side. The back train is an overlay with a lined, rounded hem. The condition is almost excellent. The skirt has a few very pale stains, visible only on close inspection. When worn or displayed, nobody would notice these minor issues. It measures: 36" bust, 28" waist, 40" hip, and 59" from shoulder to front hem. The dress is floor length on most people. 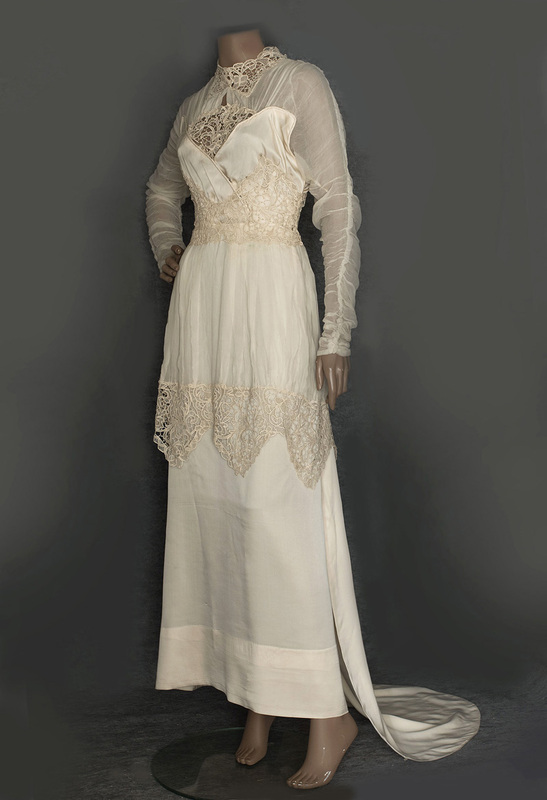 The mannequin in the pictures is over 6' tall, making the dress appear shorter.